The team with the best hack by popular vote wins a 1-year subscription for compute from SoftLayer. The team with the second best hack by popular vote wins one seat in ElasticSearch training. The seat will be awarded to a team member picked at random from the second best team. Join us for a full day of Elasticsearch hacking on a large cluster! The crowd-voted best team wins a 1-year subscription for SoftLayer (a $12,000 value)! 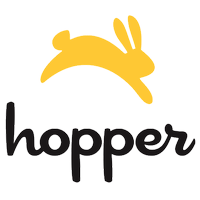 The Hopper Elasticsearch Hackathon is an all-day power hack during which hackers get access to a huge cluster (30 8-core instances with 32GB RAM and 250GB disk per node) and are set free to create something awesome using Elasticsearch. In the first hour, we’ll provide an overview of Elasticsearch and an in-depth tutorial to get new and experienced users up to speed with the search engine's features and implementation. During the day, we'll have highly skilled mentors available to answer questions, help troubleshoot, and advise and inspire you along the way. We'll also provide lunch and dinner, caffeine and soft drinks. 06:00p – Dinner. Coding ends! Because we'll have awesome sponsors providing compute (SoftLayer), mentors (Hopper, Traackr, Elasticsearch) and space (hack/reduce), all to give you a unique occasion to have access to computing power, powerful technologies, fellow hackers and experienced Elasticsearch users all in the same room! Prizes include a 1-year subscription for SoftLayer (a $12,000 value) and a seat in an Elasticsearch training course (a $1,600 value). hack/reduce, the big data hacker space serving the Greater Boston tech community located at 275 Third Street at the corner of Binney Street in Kendall Square. A water bottle: hack/reduce is trying to generate as little trash as possible; there will be many places to fill up throughout the day! We'll be preloading some data sets, but if there's something specific you're interested in or you have access to data sets that you think could be of interest to other participants, bring your ideas and we'll help get them indexed and available for everyone on-the-day.